And now that I'm completely finished with the original Upstairs, Downstairs, it's time to start on the new Upstairs, Downstairs that came out a few years ago. I have heard some good things about the new series: there were even a couple of my readers that said that the new series was even better than the original series. When my mom and I heard that they were playing the entire first series one Sunday evening, we watched the entire first series! And since PBS was playing Series 1 before they aired Series 2, I was able to watch both series very close together (unlike some of the time where I have to wait a whole year for the next series *Cough*Downton Abbey*Cough*Lark Rise to Candleford*Cough*). But how did it compare to the original series? Well, let's find out! In 1936, Sir Hallam Holland and Lady Agnes Holland arrive at 165 Eaton Place six years after the Bellamy family left at the end of the original Upstairs, Downstairs. 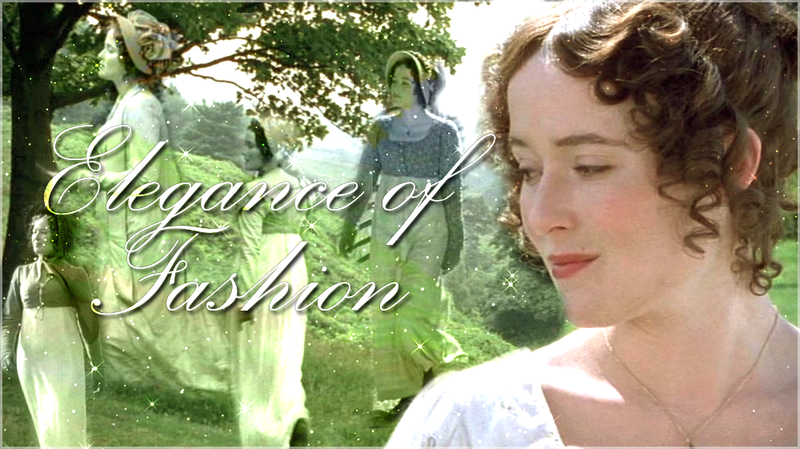 165 Eaton Place is in disrepair and Lady Agnes renovates it and hires a new staff to work there with the assistance of Rose Buck, who was the original upper house parlor maid when the Bellamys lived at 165 Eaton Place and who eventually becomes the new housekeeper. When the Hollands move in, Sir Hallam's mother, Lady Maud Holland, arrives unexpectedly to stay and brings with her her secretary, Mr. Aminjit, and her pet monkey, Solomon. There are some familiar faces in the latest version of Upstairs, Downstairs. The cast and characters in this version are almost entirely different from the original series; the exception is Jean Marsh who portrayed Rose in the original series and has repriced her role in the new series. 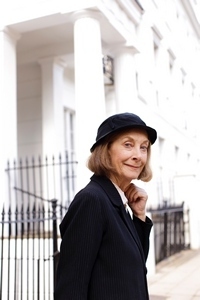 Also, another interesting fact: Jean Marsh and Eileen Atkins, the original writers for Upstairs Downstairs, both have roles in the new series. The new family at 165 Eaton Place is the Holland Family replacing the widely beloved Bellamy family from the original series. 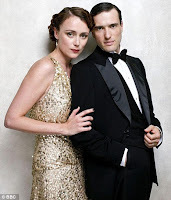 Sir Hallam and Lady Agnes are a young couple (I would say in their 30s) with no children. In this first series, you really get the sense that they really do love each other. Sir Hallam spends a lot of his time working as a diplomat at the Foreign Office; a lot of the political issues at the time are shown while he is at the Foreign Office. While Lady Agnes towards the end of the first series became a little short with some of the servants, overall she was a likable character. 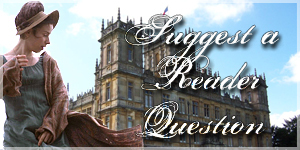 She is a bit inexperienced as being lady of the house as a lot of reference is made to how she doesn't manage the servants like she is supposed to, leaving her mother-in-law Lady Maud to unofficially become lady of the house. Personally between Sir Hallam and Lady Agnes, I think I like Sir Hallam better because he seems more of a nicer person, but I really don't have many complaints about either of them. A couple more family members join Sir Hallam and Lady Agnes in addition to Lady Maud, but let's start off with Lady Maud since I have already mentioned her in the synopsis. As I've said earlier, Lady Maud is Sir Hallam's mother who has come to live with them at 165 Eaton Place along with her secretary and pet monkey since Hallam promised that he would provide for her after his father died. This is to the chagrin of Lady Agnes who has never met Lady Maud before this time and they didn't really "click" at their first meeting. At 165 Eaton Place, Lady Maud is the wise mother who keeps the family together. She has more knowledge of social situations than both Hallam and Agnes as there are a lot of things thatthey do not notice that she does; for instance, at a party at 165 Eaton Place to which Wallis Simpson was in attendence, Mrs. Simpson brought a guest who is a known Nazi, and Maud knew that it would have a bad effect on the party (which also lead to a scene with footman Johnny spilling a drink on him). Often she has to take charge of the house since Lady Agnes doesn't/doesn't know how to properly. She is often at odds with Lady Agnes (we get this impression from Lady Agnes when Lady Maud is not in the room). The other relation that stays at 165 Eaton Place is Lady Agnes's sister, Lady Persephone "Persie" Towyn. 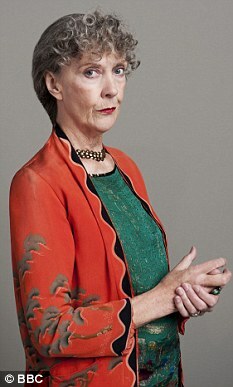 I very much disliked Persie's character almost instantly for various reasons: she was often reckless and uncaring, she took part in scandalous behavior (one of which involved the chauffer, Harry Spargo, though her family never found out), and (to be frank) she acted like a spoiled brat the whole time (defintely different from Claire Foy's portrayal of Amy Dorrit in Little Dorrit, who is the exact opposite of Persie). She also becomes very involved with the Nazi party (partly due to Harry Spargo's interest in it) even though her family warns her not to. Probably the only good thing about Persie was that she was fairly pretty (though a little too pale, but I'll get into that later), but she had such a nasty personality that it was impossible to like her. Now for the staff downstairs. As I have mentioned before, Rose is the only character from the original series to make a return for the new series, though she does make mention of the Bellamy family and Mr. and Mrs. Hudson (Mrs. Hudson being the cook from the original series, Mrs. Bridges). 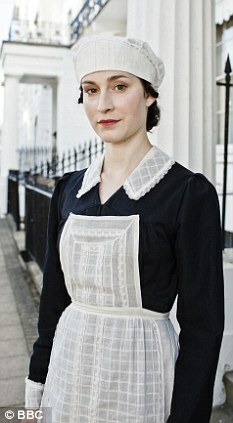 At the start of the series, she is running an agency to staff houses and is hired by Lady Agnes to hire a new staff. However, after returning to 165 Eaton Place after six years, she stays on as housekeeper ('course, what happened to her agency? We never find out!). It was nice to see a familiar face from the original series, though I will say that Rose is different from the Rose in the original series (though it's been nearly forty years since the original Upstairs, Downstairs ended, so obviously Jean Marsh would have changed in that time); she seems like she's taken on a more "in-charge" personality where she can appear to be a little bossy, but she's trying to keep the house running smoothly. The rest of the staff wasn't as memorable to me as the original series staff was. Mr. Pritchard, the new butler, is portrayed as being very uptight and stiff and I just didn't care for him all that much. 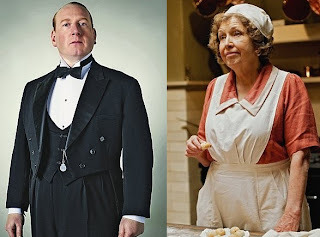 While the original butler, Mr. Hudson, was a very strict character at times and could be hard on the other staff members, he was more of a caring and real person than Mr. Pritchard was. There was just something very wooden about Mr. Pritchard: his manner and the way he said his lines seemed fake to me and even forced. The new cook, Mrs. Thackeray, wasn't all that great either. It seems like they were trying to make her similar to Mrs. Bridges in the original series, but (let's face it) there is only one Mrs. Bridges. It was almost like they tried to make Mr. Pritchard and Mrs. Thackeray "quirky" so that they would be memorable, but it just fell flat to me. The staff member I liked best was Rachel, who was a Jewish refugee from Germany who came to work at 165 Eaton Place. She was a very sympathetic character and became friends with Mr. Aminjit, who is the only one that knows that she has a daughter that escaped with her from Germany, and the other housemaid Ivy (and they had a nice mother/daughter kind of relationship that was nice). I felt sorry for what she went through in her back story and hoped she could make a living in England. Spoiler I was so upset when she died from an asthma attack! She was such a nice character and very motherly! But it was nice of the Hollands to take in her daughter, Lotte, and try to help her. End of Spoiler The rest of the staff was just simply "there" for me. They weren't memorable to me and half the time I couldn't even remember their names! It was as if they could have left and I wouldn't have missed anything or I would have said something like, "Hey, wasn't there another maid? Oh, yeah! There was! What was her name? I can't remember. Well, it's not all that important... I guess..."
The story takes place in 1936 -- before England entered WWII. 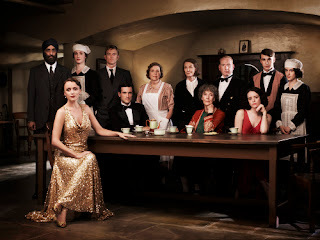 Like the original series, real life events play a role in the story line, and you may walk away from the new series with more of a background about pre-WWII. A lot of the story had to do with the rise of Nazism and how it affected people in England. What was also talked about was the death of King George V and the succession of his son, King Edward VIII and later his abdication. There are a couple of historical figures that show up in Upstairs, Downstairs including Wallis Simpson and the Duke of Kent (the brother of King Edward VIII and the brother of the future king, George VI). We return to the well known address to many fans of the original Upstairs, Downstairs: 165 Eaton Place. When we first see it after all these years (though in the story, it was only six), it looks pretty run down (hence why Lady Agnes was renovating it). Upstairs, it was almost like it was a different house after the renovations were complete. While the upstairs was different from the original series, it did look nice! (Do I dare say even better?) The downstairs was pretty much the same after the renovations, so probably it was fixed up, but not redecorated. So probably the most familiar thing in the house was downstairs. One of the things that the new Upstairs, Downstairs excelled at that the original series didn't do so great of a job with (mainly because of current technology) is the film quality. The film quality is excellent! The colors are very nice to look at, there is more opportunity for camera effects, and we also get more of a variety of scenes (outdoor scenes and other indoor scenes that would have otherwise been on a set). Not knowing all that much about 1930s fashions, I cannot comment on their accuracy. But the costumes did look nice. Lady Persie, though she is a very unlikable character, did look great in her red dress and furs. But Persie did have a worst outfit... that all black outfit that she wore to that rally! It did not flatter her skin color at all! Thoughout a good chunk of the series, she looked very pale, almost sickly. The staff's uniforms looked a little different from the original series since the series. Skirts were shorter than the older uniforms from the original series, but they still maintained the same (or similar) colors. I would say that the uniforms were similar to the uniforms in Series 5 of the original series. I'm going to comment here about the theme song. The theme song is the same tune that the original Upstairs, Downstairs had for it's theme but it was redone with a different arrangement (as can be expected after nearly forty years). Personally, I preferred the older theme song more, but the newer theme was nice and very flowing. The new series also had more music during the episodes than the older series where the music was fairly limited. My personal opinion: despite the limited music and film quality, I thought the older version of Upstairs, Downstairs was better (okay, you had to work past the first couple of series, but once you got to Series 3, it got good). I don't know if it's because I really got to know the characters in the original series and the new characters just weren't the same or what, but I found myself missing the old characters. It was nice to have Rose back, though. The first episode really didn't impress me all that much, but the second and third episode did get better. I know this rating is very usual for me considering I tend to favor newer period dramas (mainly the 90s and later) than older (particularly 70s and 80s period dramas), but it must be said: the newer version did not live up to the original to me. For content, the new series was about TV-PG, like the original series. There is a suggestive nature to Upstairs, Downstairs all together with some scenes (though not graphic) and some of the language. There is also a little bit of violence (but again not graphic) and there is a death, but that's pretty much it. 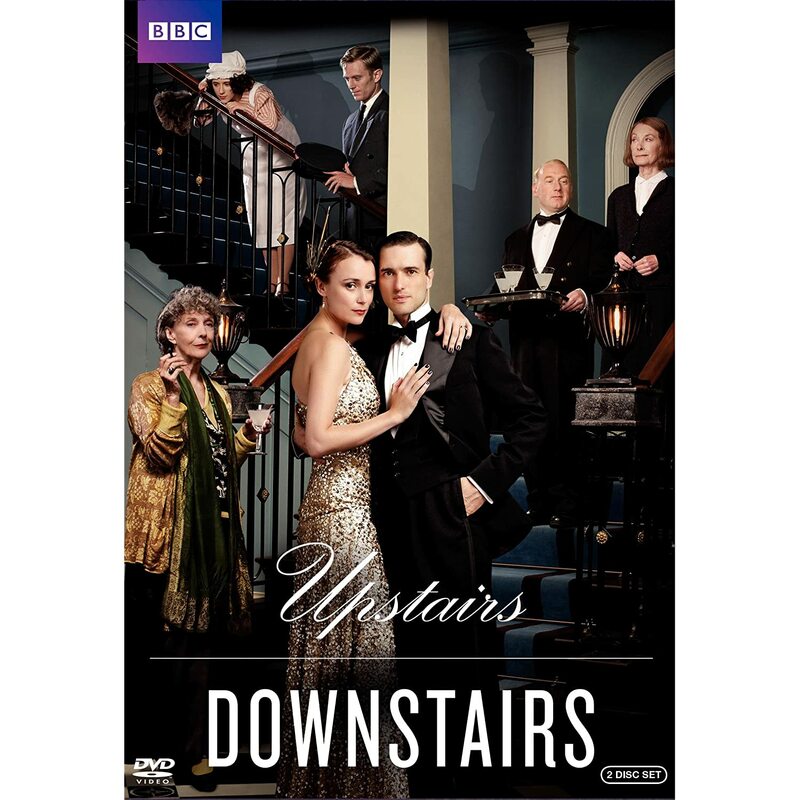 Upstairs, Downstairs is available on DVD. It is made up of three one-hour length episodes.